There's no shortage of incredible cocktail bars in NYC. In fact, the city is so flooded with them it's easy to forget about one of the best that started the mixology movement years ago, the fabulous Pegu Club. We stopped into this second floor SOHO spot right before dinner Friday night. The long elegant bar and wrought iron laced windows overlooking Houston were just as gorgeous as I remembered years ago, and the cocktails just as perfect. 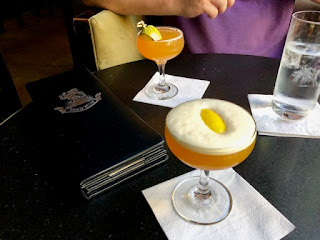 Mr. ordered the Pegu Club made with London Dry Gin, bitters and orange curacao; a classic drink from the 1900's that packed a tropical snappy punch. I ordered the Earl Grey MarTEAni per a friends suggestion and it did not disappoint. 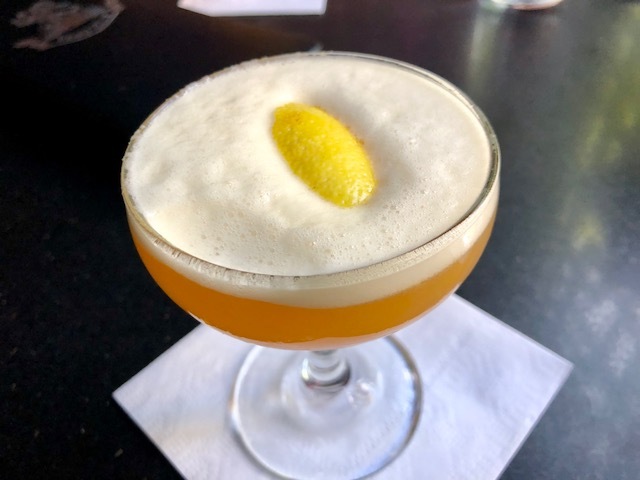 Made with Earl Grey Tea infused gin, lemon juice and egg white, this cocktail was the perfect balance of sour and savory. I loved it so much I bought a bottle of Earl Grey Gin for home in hopes of recreating this fantastic drink. Alas I am no match for the incredible Pegu Club bartenders. Looks like I'll be stopping more often for my Earl Grey MarTEAni fix.